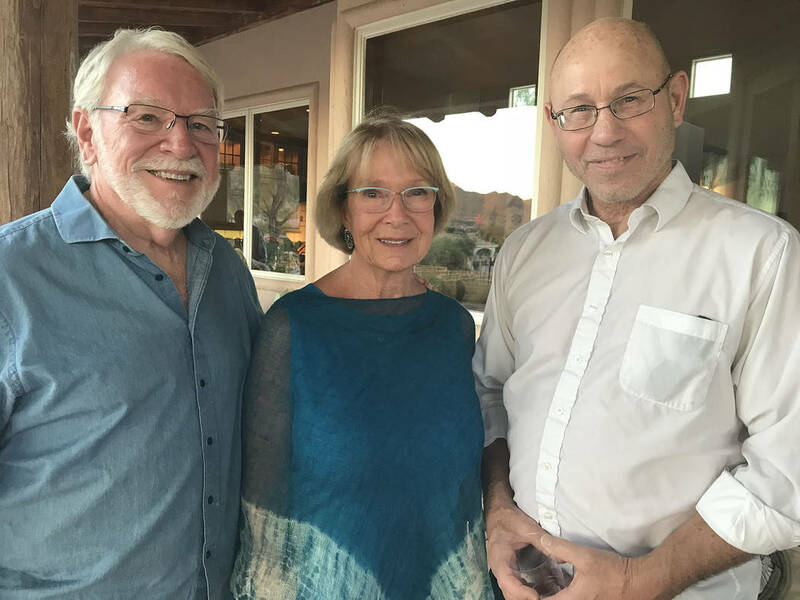 Chautauqua scholar Doug Mishler, right, visits with Jim Amstutz and Linda Faiss, who hosted a special event Friday at their home to meet the University of Nevada, Reno professor. 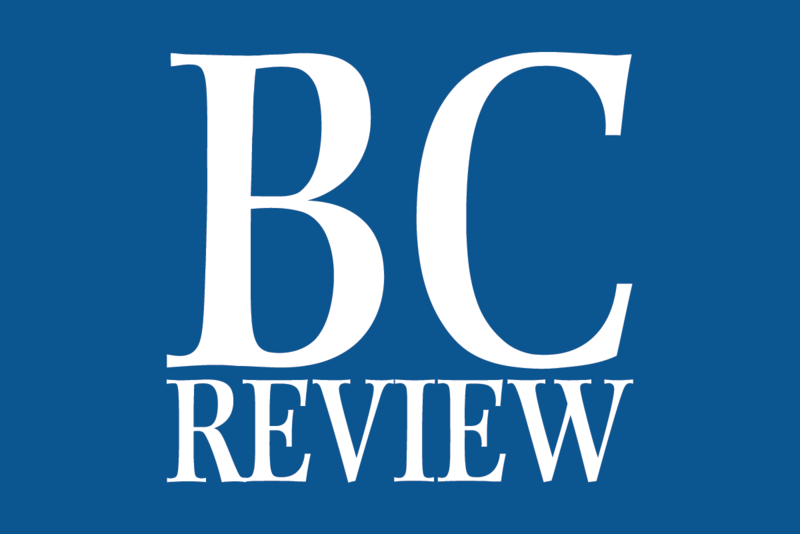 Mishler appeared as Gen. John J. Pershing and President Theodore Roosevelt the following day. Hali Bernstein Saylor/Boulder City Review Chautauqua scholar Doug Mishler, right, visits with Jim Amstutz and Linda Faiss, who hosted a special event Friday at their home to meet the University of Nevada, Reno professor who appeared as Gen. John J. Pershing and President Theodore Roosevelt the following day. Hali Bernstein Saylor/Boulder City Review Board members and organizers for Boulder City Chautauqua, from left, Bev Mazza, Sue McCullough, Sara Weber, Brent Reedy, Dana Reedy and Linda Bronstein, get ready to host an evening event Friday for patrons to meet this year's scholar. Hali Bernstein Saylor/Boulder City Review Frank and Marsha Irvin of Henderson were among those attending the annual performances of Boulder City Chautauqua on Saturday. "We come every year," they said. Hali Bernstein Saylor/Boulder City Review Michael Green, right, an associate professor of history at UNLV who served as moderator for Boulder City Chautauqua performances Saturday visits with, from left, Pat, Carol and Craig Kelso, all of Boulder City. Hali Bernstein Saylor/Boulder City Review Valerie McNay waits as Bill Smith pour her a glass of wine Friday during an evening reception to recognize patrons of Boulder City Chautauqua. 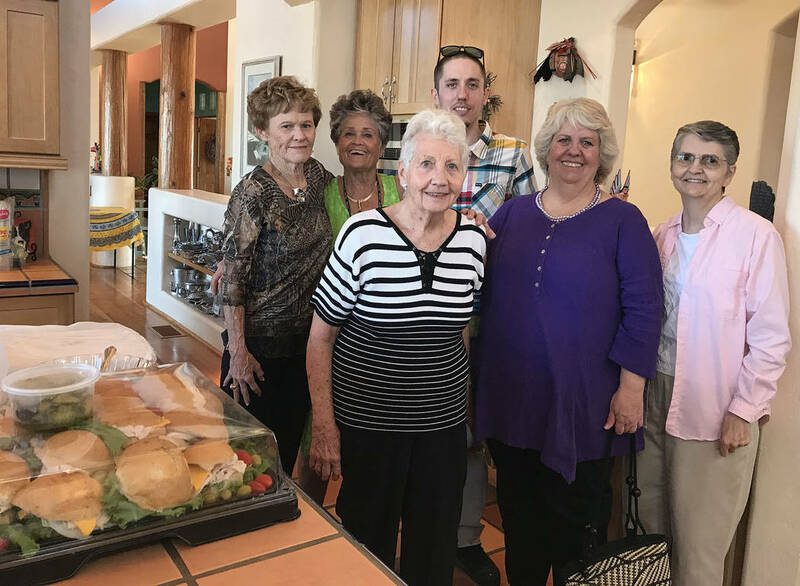 Boulder City Chautauqua board members, from left, Bev Mazza, Sue McCullough, Sara Weber, Brent Reedy, Dana Reedy and Linda Bronstein get ready to host an evening event Friday for patrons to meet this year’s scholar. 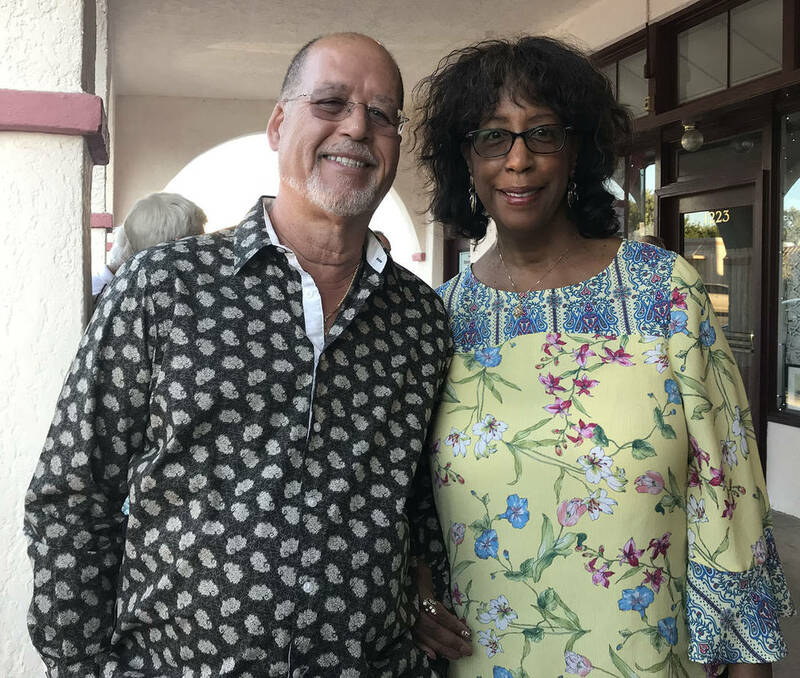 Frank and Marsha Irvin of Henderson were among those attending the annual Boulder City Chautauqua performances Saturday. “We come every year,” they said. 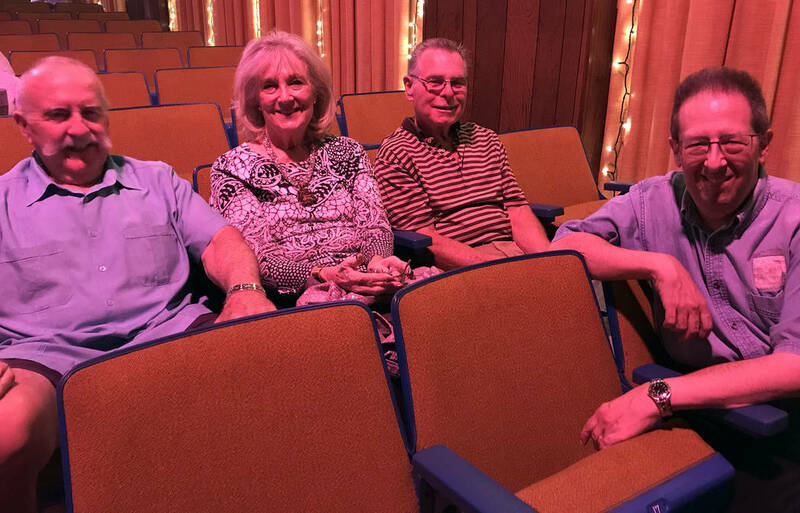 Michael Green, right, an associate professor of history at UNLV who served as moderator for Boulder City Chautauqua performances Saturday, visits with, from left, Pat, Carol and Craig Kelso, all of Boulder City. 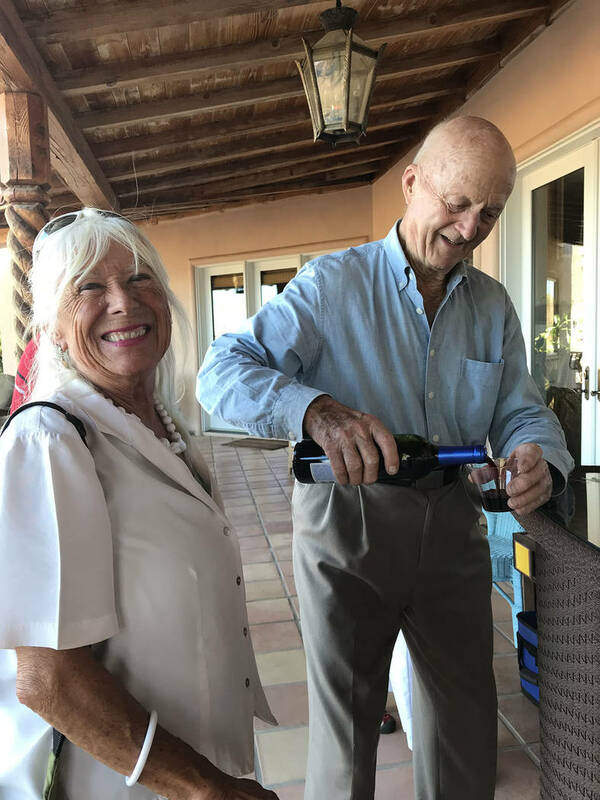 Valerie McNay waits as Bill Smith pours her a glass of wine Friday during an evening reception to recognize Boulder City Chautauqua patrons.